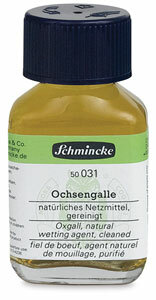 This is a natural wetting agent for degreasing of undercoats before painting with watercolors or gouache. It should be used sparingly, and it is suitable as a leveling agent for watercolors. 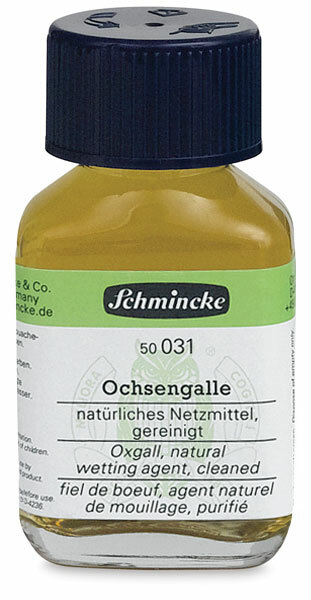 Oxgall tends to flocculate (form lumpy or fluffy masses) when stored over long periods of time. However, this does not effect the quality or application method of the product.